The need for an alternative to harsh overhead halogen lights has opened the door for higher quality exam lights. 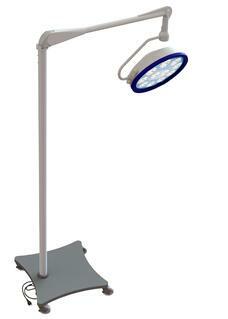 Shor-Line’s new Prelude LED Exam Light provides the style and performance of the Prelude LED Surgery Light in an exam and treatment unit. Simply, it delivers better color temperature, a cooler working environment and long-life light bulbs. Many veterinarians are involving the pet owner more in explaining issues, such as skin rashes, ear infections and tooth cleaning. Having a good, professional light available to put the spotlight on the issue helps. Turn the light on for the discussion and turn it back off to keep the room calm and comfortable. Intensity. 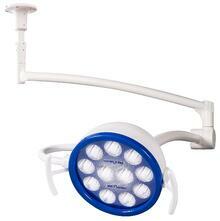 This determines the amount of light delivered to the area you are illuminating, such as a skin rash. This is measured in foot-candles, which in the olden days was the amount of light a candle emitted at one foot. It is considered an imperial measure (think pounds and inches). LUX is a more common light intensity measurement these days. It is the amount of light that falls on a surface one meter away from a candle. Essentially the same concept. 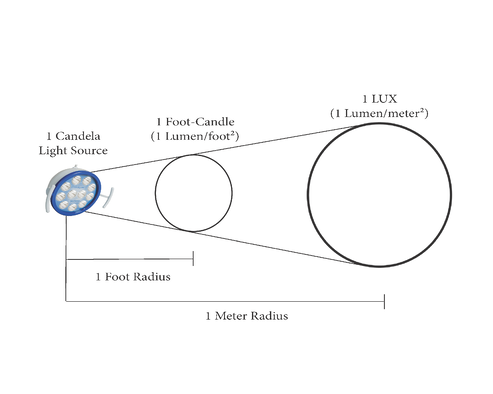 This is the most important measurement for medical lighting. Color Rendering. The accuracy in which light illuminates an area is measured by CRI (color rendering index). After intensity, this is the most important consideration. How a color renders, especially in the critical red spectrum, is critical to your ability to diagnose accurately. High CRI scores give you excellent viewing in the red spectrum. Color Temperature. This measures how the color appears or the whiteness of the light, and it is calculated in degrees Kelvin. As a means of comparison, a candle has a “warm” light with a color temperature in the warm range of 2500°K and the midday sun rates 6200°K in the cool range. The goal for medical procedures is to provide the optimum balance between bright light and accurate color for animal tissue. Red and yellow light shows up best in the 3500°K range but it can be fatiguing. 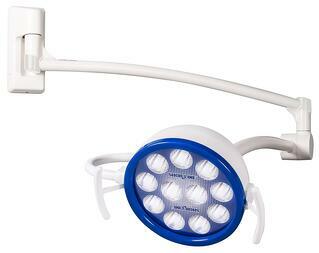 A cooler light profile can be easier on the eyes, which is why surgeons prefer lights closer to 5000°K. The key to choosing the right exam light in today’s modern veterinary practice means determining how you are going to practice. Some are adopting the new low-stress techniques that dim halogen overheads and have a more hand-on approach with pets and their owners. Others do exams and diagnosis in the back treatment area and consultations with pet owners in the exam room. The new Prelude LED Exam Light has application in both areas.The switch easily toggles from high (40,000 LUX) to low (20,000 LUX). It has a CRI of 90 and a color temperature of 4,500°K, balancing the need for good light intensity and accurate color for medical needs. The durability and dependability of Shor-Line go into the new Prelude light. Its sleek design will handle years of adjusting and positioning. And one of the main benefits of LED lights is that it will be decades before you have to worry about changing a light bulb. This 11-bulb unit will serve for 75,000 hours under normal veterinary use. Whether it lives in the front or back exam areas, the new Prelude LED Exam Light could be the best lighting investment you make this year.